Which hospital should I choose to give me the best care for my condition? Did you know? There are more than 5000 hospitals in the United States, just as many questions as appears when it comes to finding the right hospital for our healthcare. The American Hospital Association conducts an annual survey of hospitals in the United States. AHA Hospital Statistics includes current and historical data on utilization, personnel, revenue, expenses, managed care contracts, community health indicators, physician models, and much more. They reported 5,534 registered hospitals in the U.S.
Can my family stay in my room with me?, Can my condition be treated here?, Will there be a doctor in the hospital to provide care if I get very sick?… and the list can continue forever. Depending on your needs, you should look for the right hospital. Talk to your doctor and choose the hospital that’s best for you. When comparing hospitals it’s good to take into consideration a variety of factors like functionality, size, location, and ownership. It’s important to know how the hospitals themselves function within the communities they serve. Do you want a hospital located near your home or other family members? Rural hospitals or urban hospitals? All of this must meet your needs in terms of location and other factors, like visiting hours. Now, it’s time to explore the many types of hospitals and learn about what they have to offer! A hospital may be a single building or a number of buildings in a campus. Some are private, non-profit organization or public hospitals, owned by the government which receive government funding. In order to offer educational opportunities for students in the healthcare field, academic medical centers serve all these medical needs for schools and universities. Ambulatory surgery centers or ASCs focus on same-day surgical care in a convenient environment that is less stressful than what many hospitals can offer. ASCs may complete different surgeries in several specialties or dedicate their services to one specialty, such as eye care or sports medicine. Children’s hospitals offer medical treatment to children and adolescents. This means that the entire medical team has special education and training to aid in the treatment of children for a variety of acute and long-term medical needs. Clinics are much smaller than hospitals where patients are less sick and do not stay overnight. Here you can schedule an appointment in order to verify your healthcare and obtain immediate results. Many clinics are operating as private entities and partnerships among surgeons or private physicians. Community Hospitals play an important role in the United States health care. The American Hospital Association (AHA) defines community hospitals as “all nonfederal, short-term general, and other special hospitals.” Special hospitals include “those dedicated to obstetrics and gynecology; eye, ear, nose, and throat; rehabilitation; orthopedic; and other individually described specialty services.” Also, AHA has reported that there are 4,974 community hospitals operating in the U.S. today – 3,003 urban and 1,971 rural. Choosing the right hospital can be a very hard task, but with all mentioned above, we consider that we made a little bit of light on this important subject. If you have any other questions regarding hospitals in the United States, feel free to contact us. Your health is an investment, not an expense! 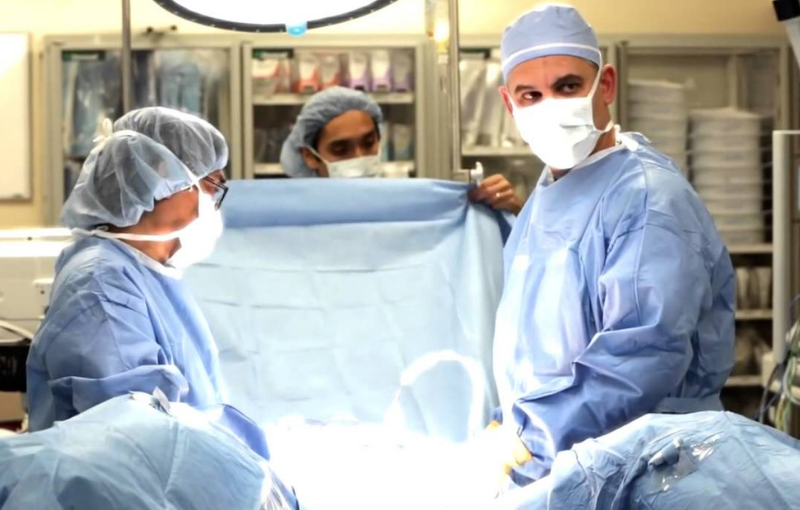 Currently, Dr. David Samadi is the Chairman of Urology & Robotics Surgery at Lenox Hill Hospital. Lenox Hill Hospital is New York State’s largest health care provider and private employer, having 13,600 physicians, more than 15,000 nurses and more than 4,725 volunteers to help deliver the care you need. 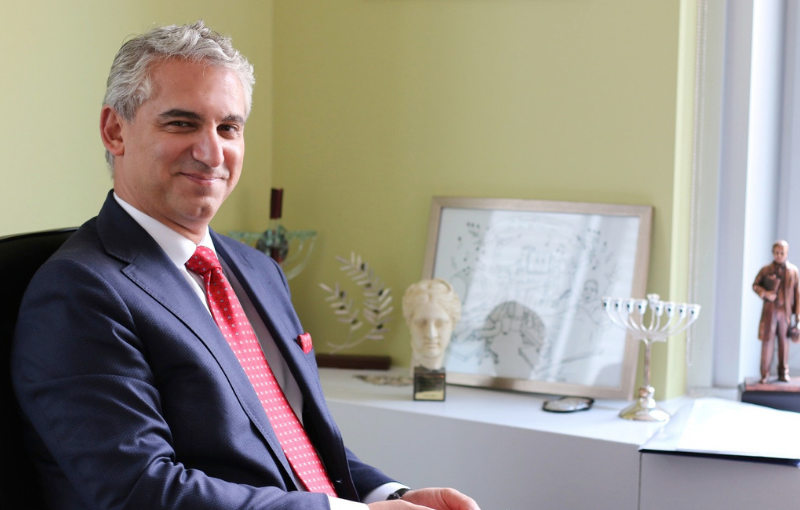 Let’s see what Dr. David Samadi says about how he feels working here! Most men that come to Dr. David Samadi office at Lenox Hill, are fairly young… they’re in their 40s, 50s, sometimes 60s. It’s not the old man disease anymore so it’s not like we’re going to see people only at 70 year olds. Even though we see them occasionally, it is no longer partly their case anymore. They’re mostly aware of the disease, they’re getting screened, they talk to each other, so the level of education is surprising. More importantly, it’s the wife’s and the partners that make them come to the hospital for a PSA screening which is really fantastic. In addition to his career as a doctor, he is the host of Sunday House call on Fox News Channel and has worked for the channel for five years. He has launched a radio program on am970, World Health News as well as a website to blog about health news. Turn up your radio dials to WMCA AM 970 on Saturday morning between 10:00 to 11:00 a.m. for a healthy dose about prostate cancer! You’ll learn about all the medical issues that are critical in order to live longer, healthier, and happier. The idea of making this radio show came from all the women who continued to tell Dr. David Samadi that her boyfriend, her husband is not going to see a doctor. The voice on Saturdays has one mission: to raise awareness among men at 40-60 years old to get screened and try to prevent prostate cancer before being too late. So, brew your coffee and listen to Dr. David Samadi who will be more than happy to answer your medical questions and educational issues. Also, top experts in the healthcare world weigh in on the key issues and topics in health today. Dr. David Samadi from Lenox Hill Hospital is a widely regarded prostate surgeon, particularly for the success of his custom SMART Surgery; the Samadi Modified Advanced Robotic Technique yields exceptional prostate surgery results. His ability to think outside the box and prioritize the individual patient’s needs in devising a treatment plan earned him a reputation for being wholly committed to helping each patient recover to the maximum of their potential. Feel free to set an appointment with Dr. David Samadi at NYC Lenox Hill Hospital, here! Finding the best hospital for any disease can be difficult, even in our times. According to the most recent statistics, the United States is currently home of approximately 5,600 hospitals. This figure has been constantly decreasing over the past decades, contrary to the steady enlargement of the number of employees in the U.S. healthcare system. For an accurate depiction of the situation, the graph below reveals the ratio for hospital beds per 1000 people. The data contains treatment spaces available in public, private, general, and specialized hospitals and rehabilitation centers. In 1975, the number of hospital beds in the US was exactly 1,465,828. This has decreased to approximately 924,000 until 2011. In 2015, the number fell to a historical level below 900,000, while the U.S. population has seen a steady increase. A comparison between countries and hospital beds per 1000 people places the US in the 80th position worldwide. Although statistics show a narrower palette of options compared to the ’70s or ’80s, this does not mean that deciding upon a hospital in which to have surgery or to be submitted for long-lasting treatment has gotten any easier for you. There still are a lot of options to choose from and the plethora of information available can make the entire process quite overwhelming. The increase in mobility makes it easier to travel to remote locations to find the perfect hospital, with enhanced facilities, renowned surgeons and good patient reviews. Does the hospital have a special unit or floor for your type of surgery or treatment? Do they have a team of doctors that are specialized and renowned in treating your type of disease? Are the operating rooms fitted with special equipment required for your type of surgery? Are they invested in offering you every information you need in order to prepare for the surgery (by printing and giving you pamflets, writing a special section on their website)? How many patients have they operated on with the same condition as yours? How many auxiliary personnel such as nurses are allocated to that unit? What is the rate of success they report for this specific surgery? If possible, talk to other patients or check the testimonials on their website. Verify if there are reported cases of post operatory infections. A 2015 study at John Hopkins, on patients undergoing colon and rectal surgery, showed that hospitals that focus on quality-improvement solutions (such as getting patients to take antibiotics, encouraging them to drink fluids, cleansing their skin with antiseptics before surgery) report less lengthy recoveries and lower rates of surgical site infection by more than a half, as well as shortened hospital stays. Has integrated an Electronic Health Records System (EHRS) that can track results of lab tests, diagnostics tests or patient referrals. Check to see if they have sufficient on-call assistants on holidays, especially if your surgery is planned during that period. Medicare.gov – the US government provides information and reports on hospitals and doctors, as well as a list of all hospitals in your area (based on ZIP code, city or state). The site also facilitates comparison of 3 hospitals at a time, based on quality measures, distance from the city centre, emergency services, EHRS integration and a safe surgery checklist. The Joint Commission Quality Check – is an independent, non-profit organisation that accredits and certifies nearly 21,000 healthcare institutions and programs in the US. Their platform allows you to check if a certain hospital adheres to its performance standards, committing to deliver safe and effective care of the highest quality and value. The Leap Frog Group – is also a non-profit organisation that aims to protect patients and their families from errors, injuries, accidents and infections. It reports data on more than 1800 hospitals in the U.S., having programs that regularly survey and grade hospitals for their quality care and procedures. Consumer Reports – this site rates each hospital based on their patient safety score, as well as on measures relating to patient experience, outcomes and certain hospital practices. Health Grades – Provides statistics on clinical quality for each specialty (incidence of mortality during and after surgery) and patient experience (in terms of overall feedback, cleanliness, staff, doctors, facilities). Why Not The Best – tracks performance on various measures of health care quality. Their tool permits comparison of process-of-care measures, patient satisfaction, readmission rates, average reimbursement rates and mortality rates. It also includes data on the incidence of central line-associated bloodstream infections (from over 1500 hospitals), the adoption of electronic medical records, as well as population health, utilization and costs. Another offline resource you could turn to is your health insurance company. Many insurers have ratings on how hospitals perform the type of surgery you’re having. Ask them if they have a ranking system for trustworthy healthcare providers and, if so, use the information provided to find the best option for your surgery.